That is a direct quote from Chris. The recipe was in the little booklet that came with the Crock Pot. 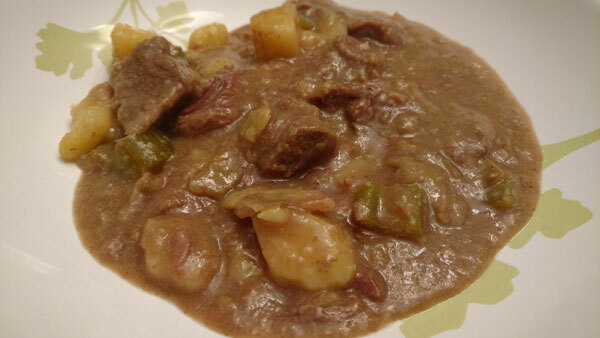 A simple recipe that resulted in the "Best Beef Stew Ever." Tonight was the Super Bowl. Neither of our teams was in it this year but we still watched. Well, I watched until Downton Abbey came on. To start off, or pre-game, I made a hummus from Cannellini Beans, Kalamata Olives, and Capers. Winner! The recipe comes from Jeanette's Healthy Living site. Sprinkle flour, salt, and pepper over meat. Place meat in Crock-Pot slow cooker. And I had to make something to go with the stew. I was at the grocery store waiting in the Deli line, one of the circles of hell and was reading an email from Food52. It was a recipe for Slap Grilled Cheese. 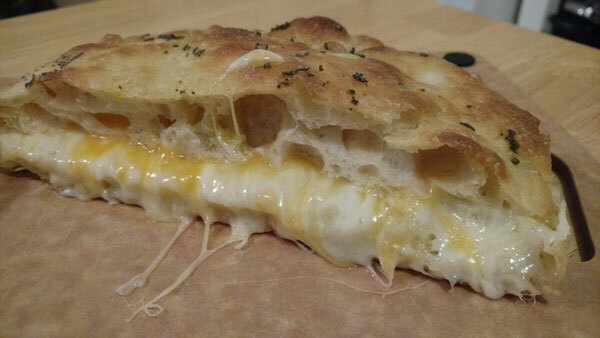 A focaccia bread sliced in half and filled with cheese and then reheated to melt the cheese. That's what I went with. I made the Jim Lahey Focaccia recipe, starting it last night. Nice. 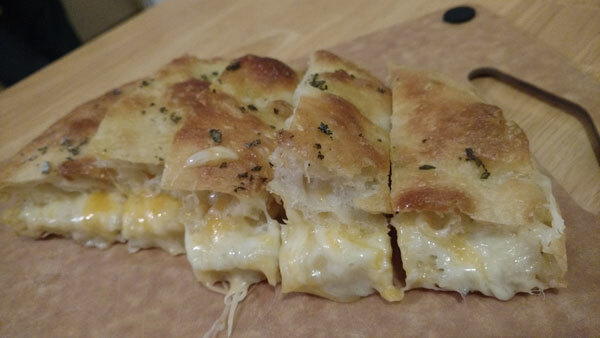 The bread was, of course, delicious and the for the cheese inside I used Sharp Cheddar and Gouda. Yeah, this recipe is a keeper. Sprinkle your preferred grated cheese for as little or as much coverage as you'd like between the slices of focaccia. Weigh the whole thing down with a heavy-bottomed pan—that's right, put a pan right on top of the focaccia—and bake at 375°F for about 8 minutes. Slice as small as you'd like to serve.